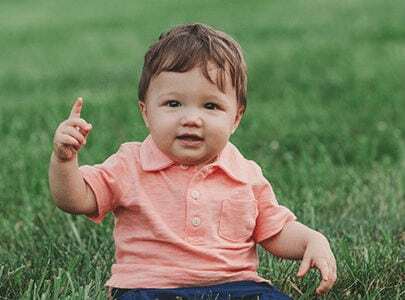 Many family dentists are getting away from early childhood dental screenings because they are not comfortable treating excitable, wiggly (or crying) patients. Delaying a child’s first checkup until they are 3, 4, or 5 years old can provide ample time for cavities or other problems to develop — making those first visits unenjoyable, because the child is in pain. Montgomery Pediatric Dentistry follows recommendations set forth by the American Academy of Pediatrics, the American Dental Association, and the American Board of Pediatric Dentistry, which all agree that a child’s first dental checkup should take place soon after his or her first teeth erupt, or no later than 1 year of age. After all, you wouldn’t take your child to the pediatrician for the first time at age 3, so why would you wait that long to take care of their teeth? The earlier we assess your child’s developing smile, the easier it is to avoid potential dental problems later on. In fact, most dental concerns can be avoided. Form Healthy Dental Habits including how to brush properly, when to start flossing, and how to encourage your child to care for their smile. Make Smart Nutritional Choices to prevent problems like baby bottle cavities, childhood tooth decay, abscesses, and even avoid emergencies. Implement an Effective Preventive Plan including routine exams, cleanings, protective sealants, and fluoride treatments… so that you can avoid unnecessary dental treatment later on. Answer Questions from mom, dad, or other caregivers about how to keep their child’s teeth strong well into adulthood. Create a Positive Impression on Your Child so that coming to our pediatric dental office is something fun that they always look forward to! All 1-Year-Old Exams are provided free of charge for children under 24 months of age. The consultation-style appointment helps your child familiarize themselves with our welcoming office and enables our staff to get to know you and your little one better. 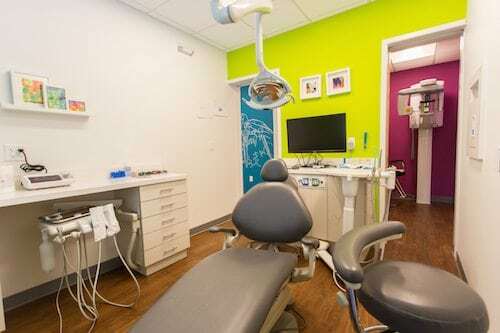 Once everyone is comfortable, you can set your child on your lap and give them a little hug while our pediatric dentist takes a quick look at his or her smile. That’s it! This brief exam will allow us to screen for any irregularities or concerns, and pave the way for other things like cleanings or x-rays (“pictures”) in the future. Many parents unknowingly predispose their child to cavities by allowing them to take a bottle or sippy cup to bed each night. Frequently drinking milk or juice without cleaning the teeth can allow a baby’s new smile to decay at alarmingly rapid rates. Montgomery Pediatric Dentistry will give you the tools you need to help avoid common risk factors that you may have not considered in the past. Has your child’s first tooth come in? 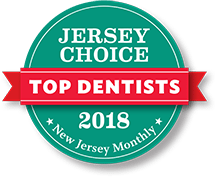 Is he or she approaching age 1 or nearing the “Terrible Two’s?” Then it’s time to call Montgomery Pediatric Dentistry in Princeton to book a complimentary exam.